Sign up to showcase your skills and ultimate Big Green Egg creativity at the Sunshine State Eggfest this year! For your $20 registration fee your cook team will receive a swag bag with over $300 worth of Cooking accessories and other killer BBQ products. What else you ask? Every cook team that signs up will be entered into a day-of-raffles where you could win great prizes such as a Mini-Max Big Green Egg, a Yeti Cooler, Fizzics Beer System and other great items! Prizes in the raffle are valued at over $1,100 and only Sunshine State Eggfest cook teams are entered to win! All cook teams are eligible to participate in a "People's Choice" competition. Designate one item that you are cooking as your People's Choice entry (the best of the best! something people will crave!) 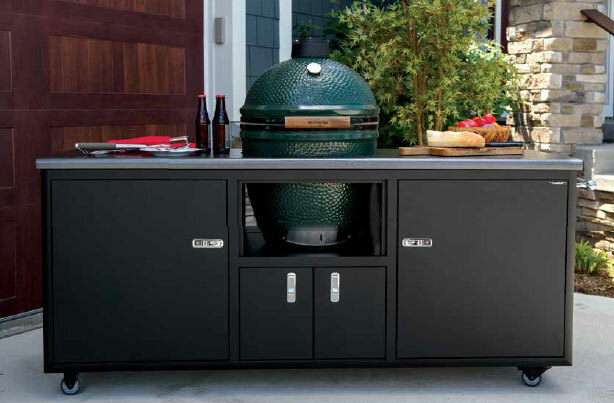 and you have a chance to take home a LG Big Green Egg in a brand new Challenger Designs cart! The 2019 Sunshine State Eggfest attendees will be voting for their favorite dish/item throughout the day. If you 'wow' you could be named The 2019 People's Choice Champion and take home the biggest prize ever awarded in Eggfest history! The People's Choice Award for the 2019 Sunshine State Eggfest just got a little sweeter! Instead of winning a 48" grill cart and a large Big Green Egg, thanks to Challenger Designs we are now happy to announce we are giving away a 76" Torch Grill Cart with a Large Big Green Egg! That's over a $3300 value! To sign up, please visit the registration page. Wassis Classic Steak Brisket smoked on the Big Green Egg overnight, topped with Cowboy Caviar (Tomatoes, Black Eyed Peas, Onions, Cilantro, etc...) Lets get this party started! Whole striploins cooked indirect, seared over an open flame, carved in front of you! Wouldn't be an Eggfest without a little GREENs, everything's better wrapped in Bacon!! Crisp, Refreshing, like a ray of sunshine! This 100% Big Green Egg cooked meal will be available to all cook teams and Meet & Greet attendees. Fuel up with us before the big day and enjoy an unforgettable evening! Cook, learn, share and win big this spring at the Sunshine State Eggfest! Are you interested in taking part in the Sunshine State Eggfest by being a cook? Register as an individual or a multi-person cooking team, to be a part of this great event. Each Cook Team with receive one gift bag. As an EggFest Chef, you can prepare anything you like to serve. 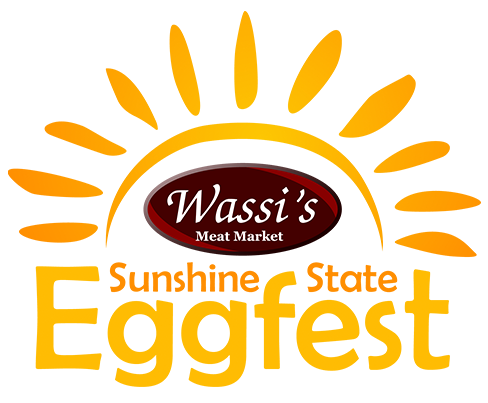 We'll have the lighting of the Eggs at 8 a.m. on Saturday and you may prepare proteins, sauces etc. ahead of time. EggChefs should be prepared to provide a minimum of 350-500 bite sized samples to our tasters. Cooking items must be finished on a Big Green Egg at the Sunshine State EggFest. EggChef's must follow FoodSafe guidelines and ensure that the protein temperature has not been between 41-135 degrees for more than four hours. The internal temperature must reach between 145 degrees whole or 155 degrees if injected. We'll cover these guidelines at the Meet & Greet on Friday night April 26, 2019, at 6pm. Remember, you are providing bite sized samples - you are not expected to provide a meal. More is fine and you are encouraged to show off your skills! Have fun and make sure to interact with your guests and tasters. Personality and service are all part of a great tasting experience. To register, simply fill out our registration form. If you have any questions, simply enter your question in the comments or call Frank or Jan 321-242-3348.